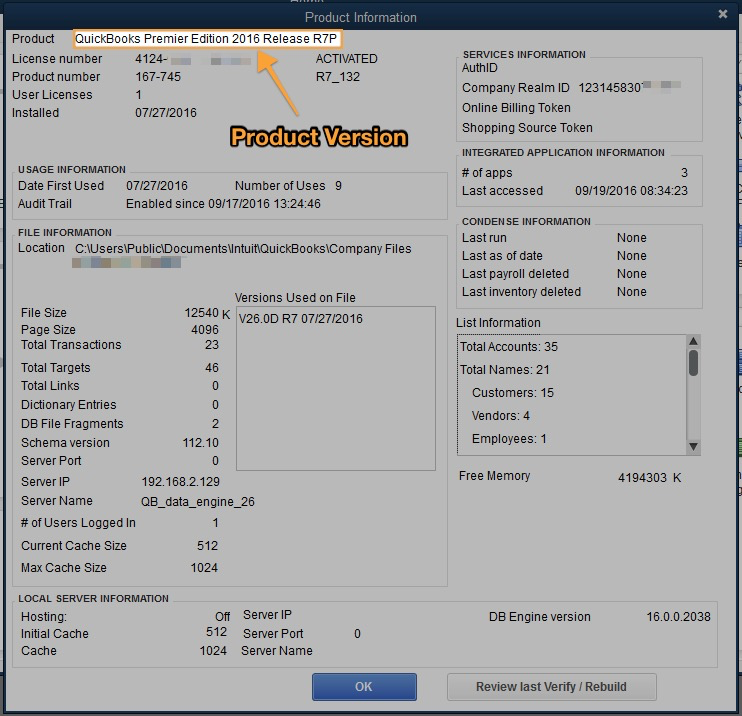 There are a couple ways to determine the version of QuickBooks Desktop for windows that you're using. Choose Help from the top menu bar. Version information will appear in the about option. 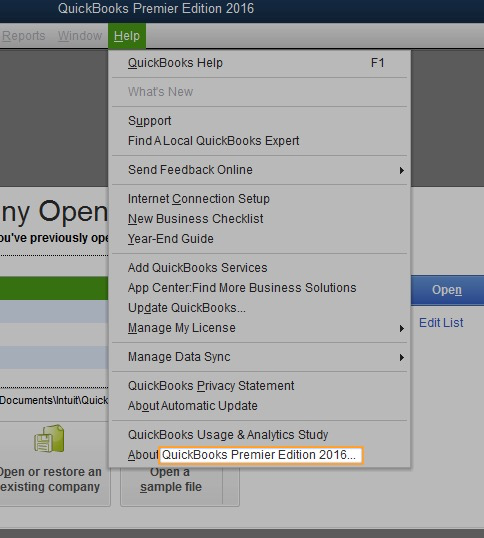 For example, if it shows Product: QuickBooks Pro 2015 for MAc, the version is 2015 and it for the Mac. Press F2 to open the Product Information window. Version, edition, and release appear at the top of the window, on the Product line.